Wendell Stevenson talks about her book, Circling The Square: Voice From The Egyptian Revolution (Harper Collins, August 2015.) 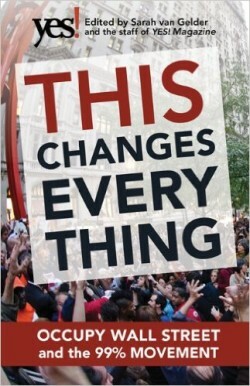 Then we re-air our 2011 interview with Marina Sitrin about Occupy Wall Street. While this show was being produced, Egypt’s military regime pardoned two jailed Al Jazeera journalists who had been sentenced to three years in jail for reporting on the Muslim Brotherhood. It’s always good news when journalists are released from prison. Not so great is that they were put there in the first place for doing their job. The Egyptian military overthrew President Mohamed Morsi in July of 2013 and has gone on to establish a draconian counter-revolution to the popular uprising in Egypt that began in January of 2011. Morsi had been democratically elected in the vote that took place after Egypt’s previous strong man, Hosni Mubarak, was toppled by the uprising. But Morsi lost little time in establishing a repressive regime that took away many freedoms, including the right to demonstrate in the streets, that the Egyptian people had fought so hard for. Then the Army went even further. It’s easy to forget in these days of increasingly autocratic rule in Egypt just how powerful and hopeful the people’s revolution was in those heady days in Tahrir Square in 2011. British journalist Wendell Stevenson was there. 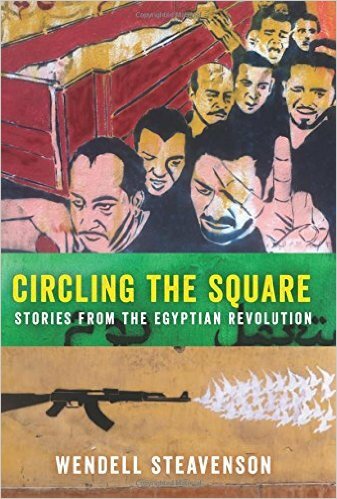 Her book Circling The Square is an electrifying account of that time. Her passionate personal perspective and on-the-street storytelling put the reader right into the middle of what’s happening. Through those stories, we get an understanding of how the revolution happened — and how it was undone so easily. It’s also a vivid picture of the creative ferment and chaos that infuse popular democracy in a revolutionary time. Wendell Stevenson reported on the Egyptian Revolution for the New Yorker (read her posts here.) She’s reported on the Middle East and the Caucusus for The Guardian, Prospect Magazine, Slate, and other publications. Steavenson’s two previous books are Stories I Stole, and The Weight of a Mustard Seed. After the Arab Spring came the American Autumn. Occupy Wall Street took its inspiration from similar movements in Europe and the Middle East.